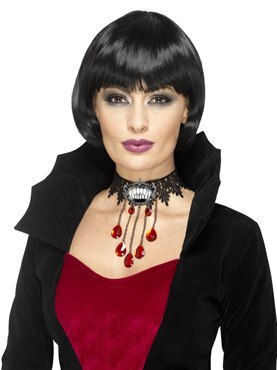 Sink your Teeth into our Medieval Vampiress Costume this Halloween! 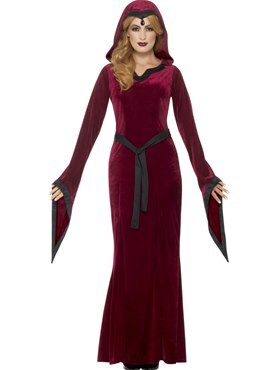 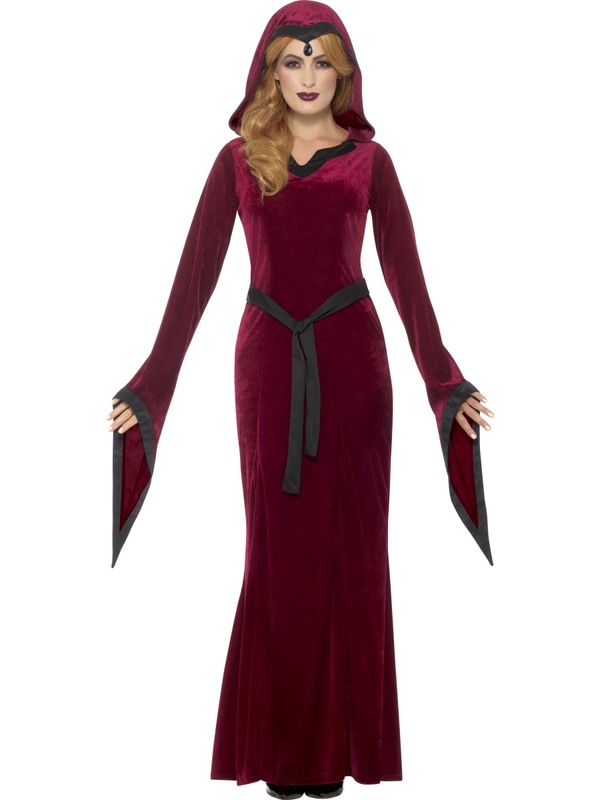 Our costume includes this full length velvet dress, with flared sleeves and hood with black teardrop pendant. 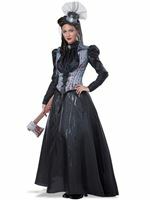 The Dress is edged with a black ribbon detailing which matches the belt. 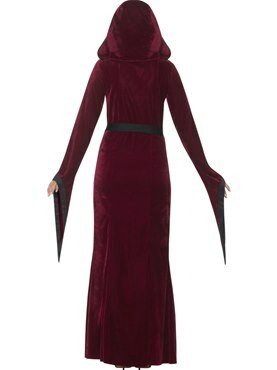 Extra Large 20 - 22 42" - 44" 34" - 36"